Lisa Mothee of Olney said her five kids were removed by order of a judge who would not even let her present her case. Lisa Mothee came to Philadelphia Family Court last September confident she'd get the chance to tell her story, and hopeful that the Department of Human Services' case on the youngest of her five kids would be closed. Yet, in the courtroom of Judge Lyris Younge, that's not what happened. After she answered questions about the birth of her daughter, the topic of her four older kids was raised — and Mothee wasn't permitted to speak. When she tried, according to a transcript, the judge cut her off: "Do not blurt out in court." Then, Younge ordered Mothee, 31, and her fiance, Brian Colon, 30, of Olney, to be handcuffed and held until the kids could be claimed from school and from the babysitter, to be taken into protective custody. "I didn't understand how something like this could happen," Mothee said. "I had all my documents ready, thinking I was going to get a fair hearing. And they tore us apart." On Monday, another judge, Joseph Fernandes, who this week and last has been assigned to Younge's courtroom, took a total of 15 minutes to reverse the removal, allowing Mothee to reunite with her five children. By the afternoon, they were back home. It's just the latest overturning of a ruling by Younge, who has faced blistering criticism and reversals from state appellate judges for violating due process and who, the Legal Intelligencer reported last week, is the subject of a probe by the state Judicial Conduct Board. A spokesman for the courts would not comment on her status or whether she would return. The general counsel for the conduct board did not return messages. "She took over a very difficult caseload," said Samuel Stretton, speaking as Younge's attorney. "The judge always looks out for the children. That's her priority." He said that she is not suspended but rather took two weeks in chambers to catch up on an administrative backlog. Next week, she'll be on vacation. The week after that, she might return to the courtroom — or she might be reassigned, he said. Lawyers and clients described a culture of fear and intimidation in her courtroom, where in January she held a lawyer, Brian McLaughlin, in contempt for being late to represent a mother in a contested hearing. Karen Deanna Williams, McLaughlin's lawyer, said he wasn't late: He'd waited in Younge's courtroom for an hour and a half before being called to another courtroom on a separate matter. She called Younge's court order in the case fraudulent and possibly criminal. And, she alleged, Younge held the contempt hearing without any notice to McLaughlin. A Superior Court judge removed Younge from the case. "She's done any number of things in specific cases, all of which go to denial of litigants' due process," she said. "That's the overarching theme. Each case has a denial of due process or several denials, in separating families or not allowing children to go with their grandparents." Mothee said she has connected with 25 families who shared similar claims — that Younge would not allow them to present evidence or testimony before she moved quickly to remove their children, in some cases going even further than the city Department of Human Services' recommendation. Mothee had feared retaliation, but hoped that if all the families spoke up together they could prevail. They've been holding protests outside TV stations and the courthouse. "Everyone has been dealing with the same issue," she said. In interviews, the families all said the same thing: "She wouldn't let me speak." "My lawyer wasn't allowed to talk." "I never got to testify." For instance, one issue in Mothee's case was her son's truancy the previous school year. According to Mothee, Younge wouldn't allow her son's teacher to testify about bullying that led to the absences, or about the provisions the school and parents had made for the boy, who finished the year with A's and B's. Nor was Mothee allowed to present a letter from the principal describing her as an "involved" and "valued" parent. Family Court hearings and filings are not public, but the records in appellate cases describe similar concerns. One Superior Court judge excoriated Younge in an opinion vacating her termination of a couple's parental rights. The case began when the parents took their 2-month-old to the doctor and learned she had two broken ribs. Abuse allegations were lodged. According to the opinion, Younge said in court that she would place the child in foster care until a cause of the injury was determined — but refused to allow the couple's medical experts to testify as to the likely cause. "The elephant in the room," Judge Anne Lazarus wrote, "is that the trial judge was and remains the cause of the deteriorated bond between the parents and [child]." In another reversed case, the Superior Court found that Younge refused to let a mother testify or even reenter the courtroom after she ran out, apparently sick to her stomach. "The trial court violated mother's constitutional guarantee to due process when it precluded her from the opportunity to be heard," Judge Jacqueline Shogan wrote. Stretton said Younge had not violated due process in any cases, and any of her missteps were early in her time on the bench and could be blamed on inexperience. For instance, she didn't properly document that the woman who'd been sick in her courtroom had been disruptive, and had refused offers to return. The Superior Court opinion in that case "was written in a very mean-spirited way," he said. But, one attorney, who didn't want to be named because of ongoing cases, said there are many more examples. "The cases you're seeing are just the tip of the iceberg," the lawyer said, "because many attorneys don't have the time and resources to write appeals." Younge, 52, was elected in 2015 despite a "not recommended" rating by the Philadelphia Bar Association. She worked for a decade in the city Law Department, according to her since-removed campaign website. There, she worked on child-welfare cases and collaborated with DHS to reduce placements in group homes, according to the site. The Bar Association doesn't publish the rationale for its recommendations, though lawyers said "not recommended" ratings may reflect a judicial candidate's knowledge of the law or temperament for the bench. Richard Bost, a lawyer who practices in Family Court, said the situation is a reflection of Pennsylvania's system of electing judges, given that most voters don't know much about the candidates they're selecting. "All the recent data suggests that judges' position on the primary ballot in Philadelphia is a better indicator than anything else of whether they'll be elected," he noted. Parents and grandparents protest Family Court Judge Lyris Younge. Mothee said her case started with a single Percocet. She was in excruciating pain in the last days of her pregnancy and took a pill from a family member's prescription, she said. After she gave birth a couple days later, she and the baby tested positive for opiates. The hospital wanted to hold her daughter five days to monitor for withdrawal. Mothee refused. "I took one Percocet," she said she told them. "That's not going to happen." The hospital discharged her daughter, but also called DHS. DHS petitioned for dependency for Mothee's infant daughter — that is, for court supervision over her. Although DHS said there was no present danger — and had not petitioned for the four older children's removal — Younge ordered them all removed on the spot, allowing only supervised visits. DHS spokeswoman Heather Keafer said that the agency cannot comment on individual cases, but that the agency seeks to keep as many children in their homes as possible. Mothee said that, since her son was removed, his grades have worsened to C's and D's. "He's acting out," she said. "I can understand. He's grieving." Recently, she got her 3-year-old daughter a Peppa Pig house as a present. "And I said, you have to keep them together. They're a family. She said, 'But why can't I be part of your family anymore?' "
Lisa Mothee reunited with her children after Judge Fernandes reversed Younge’s removal. The other parents and grandparents who joined Mothee at protests described similar frustrations. Lawyer Jimmy Binns said he's been trying to adopt his three grandkids for more than a year and a half. They were removed from his ex-wife's home for reasons he said he doesn't fully understand because he's not permitted in court. "You can't get in — they won't let anybody in," he said. "That's how she gets away with what she does. There's no oversight." Andrew Walsh said he and his wife were in town from California with their five kids when they brought their son to the hospital for issues related to his epilepsy. The hospital called DHS. Their kids were removed for medical negligence. But Walsh said the full picture of their medical records from back home was never introduced in court: "The judge didn't allow us to present evidence." Lawyer William Calandra, who regularly appears in Family Court, said everyone's wondering what's next for those on Younge's docket. 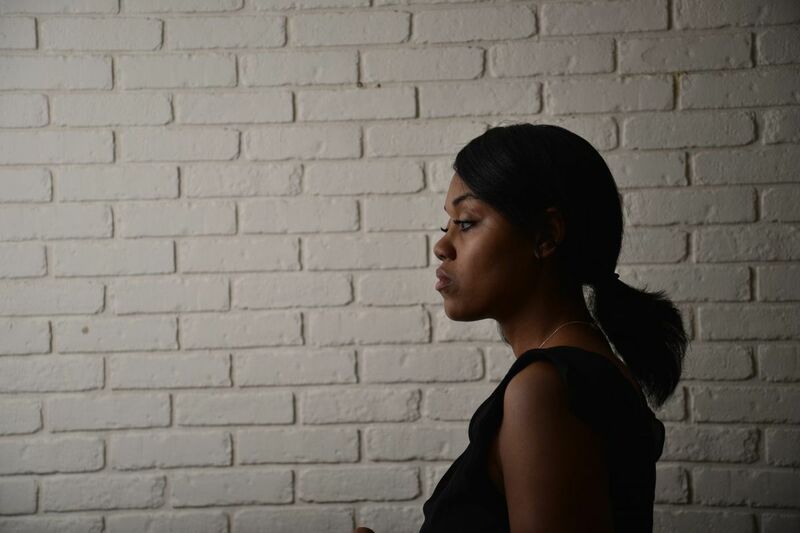 Some lawyers have been in limbo, unable to file appeals: They first need Younge to write her opinion, and they're not sure whether she'll return to do so. Calandra said the situation is chilling — particularly McLaughlin's contempt case, since dashing between courtrooms is a daily necessity. "Scheduling a hearing without notice and making a finding of contempt, which is terribly damaging, it affects your malpractice, it affects your public perception. To do that when they're in front of another judge in a room one floor up, it's unheard of," he said. Last week, Miltreda Kress — yet another mother whose three youngest daughters had been removed on Younge's order — got some unexpected news: A different judge was handling her last Tuesday court date. It felt like a miracle. Kress' case started with an allegation of abuse by her partner that was later deemed unfounded by DHS itself. Yet Kress was still prohibited unsupervised visits, she said, and her partner was allowed no visits at all. Instead, a stay-away order was lodged against him. Kress claims Younge told her, "As long as I stayed with him, my kids would never be able to come home." Like others, Kress said she was never heard: "We never got to talk in her courtroom. Once, I got the word I out of my mouth. She cut me off there." Last Tuesday, though, Fernandes allowed her to submit the evidence she'd never been permitted to bring forward in court. Her lawyer was at last able to call her as a witness. The judge also met with her daughters privately in a back room. That day, he lifted the stay-away order, Kress said, and restored her partner's visitation. "Now I get unsupervised visits with my kids, something I was told I could never get," she said. "He told my girls in the back they're halfway home. 'All your mom has to do is finish a few objectives, and when you come back in August I don't see a problem with you going home.'" Kress was shocked and jubilant. "Somebody actually gave us a fair trial," she said, "and I didn't think I was ever going to get that."